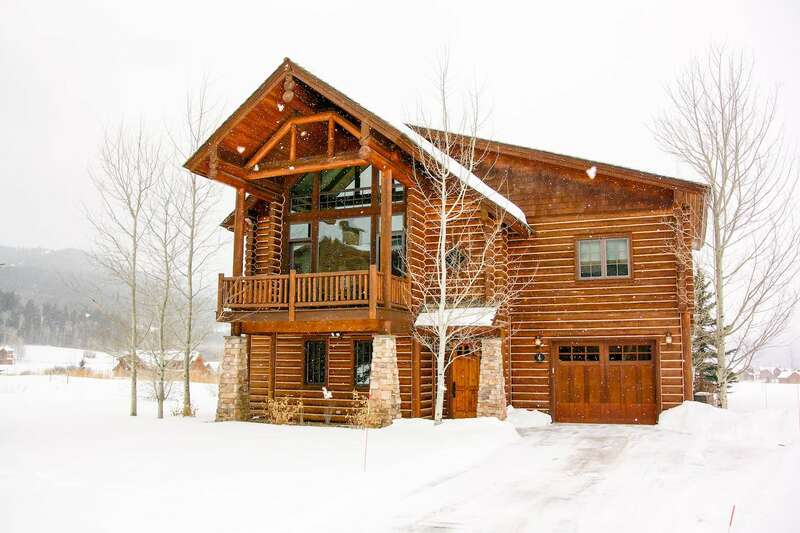 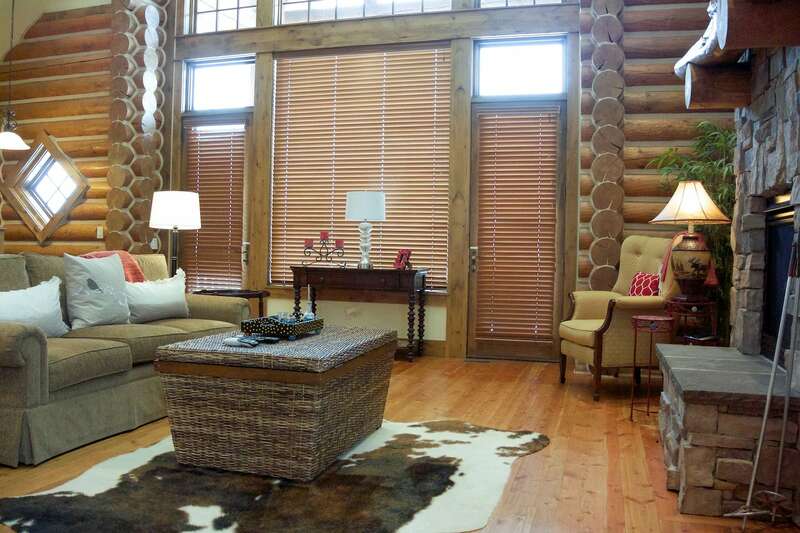 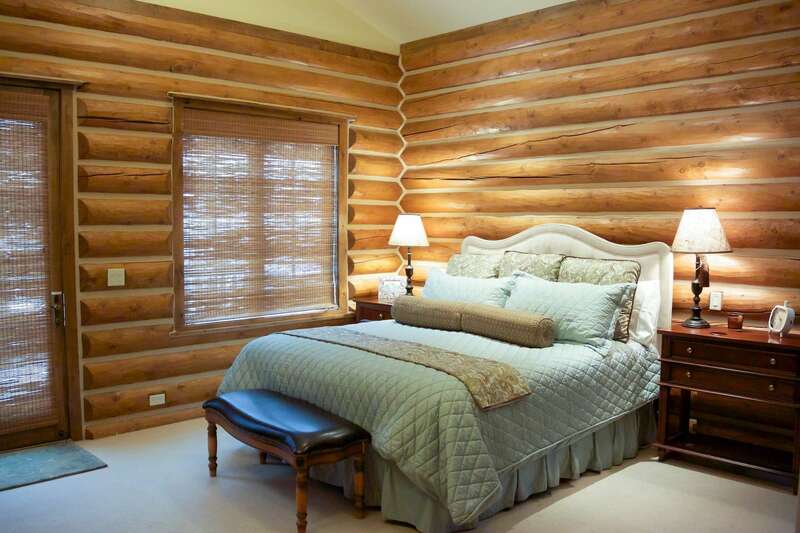 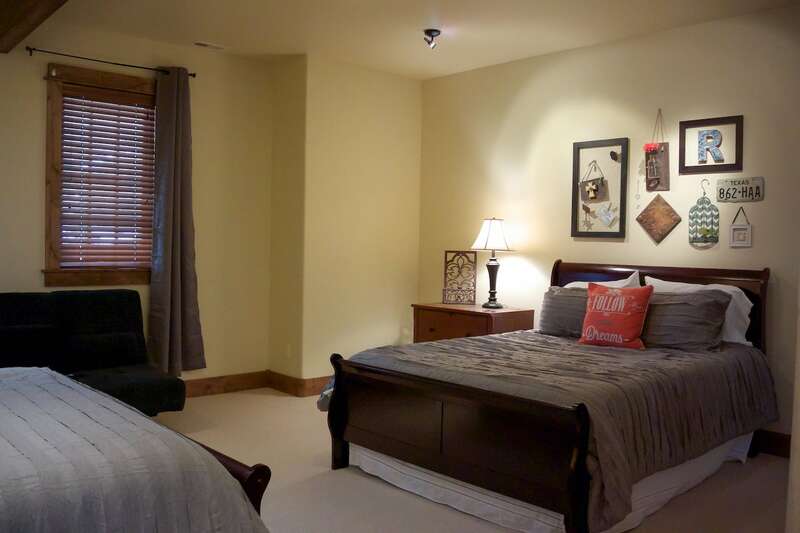 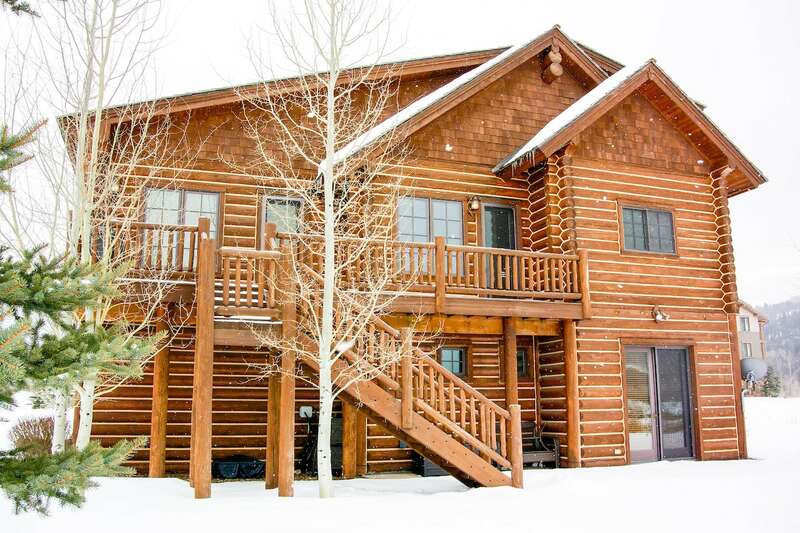 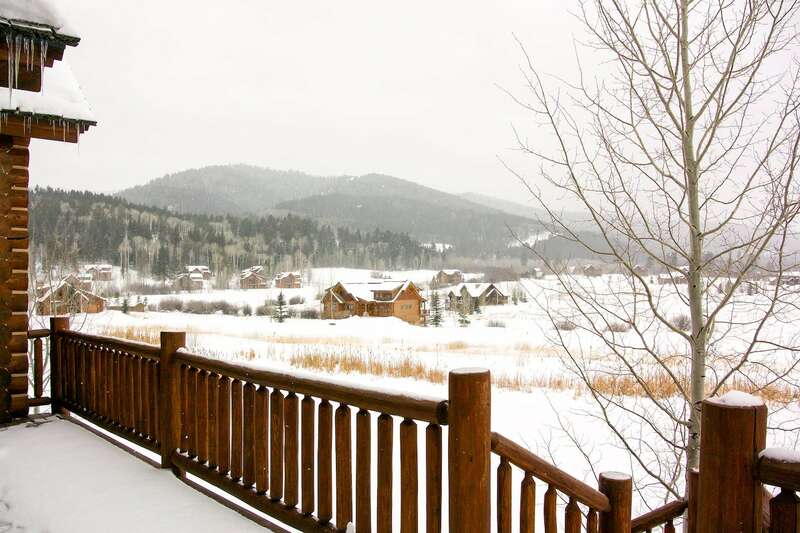 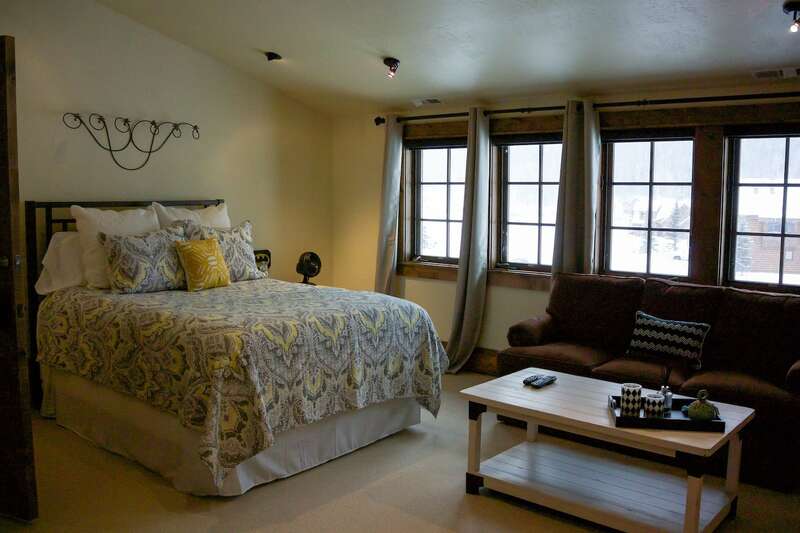 This 4 bedroom, 4.5 bath cabin at Teton Springs is perfect for large groups or families. 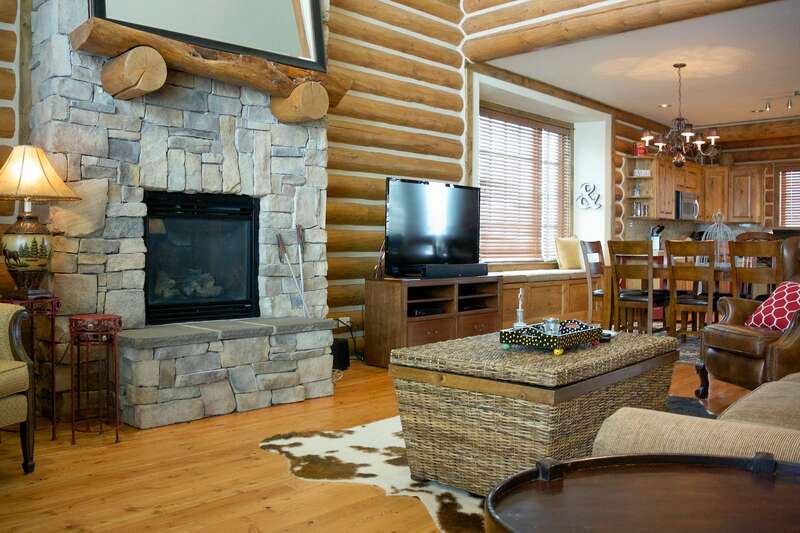 The Rymell Cabin is within easy walking distance of the lodge and amenities like the pool, spa, restaurants, tennis courts and golf course, perfect for the kids. 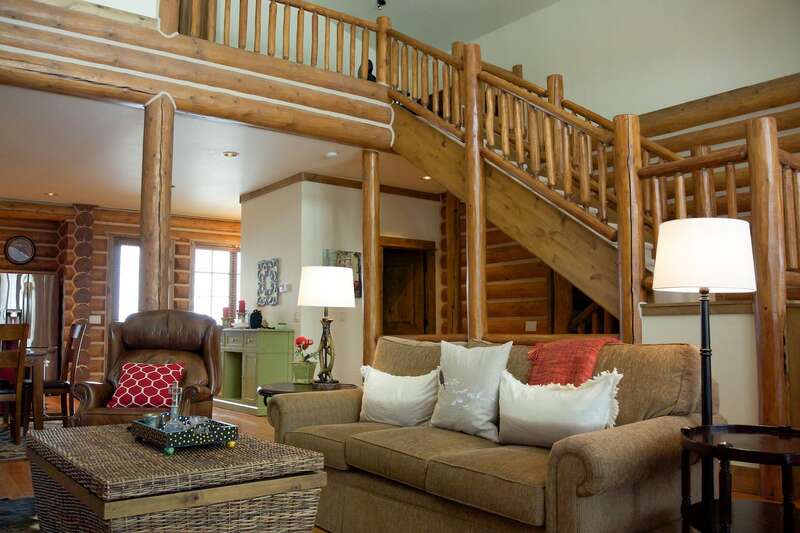 Relax on one of two decks or the patio and take in stunning views of the Teton Mountains, golf course, and on-site, stocked fishing ponds. 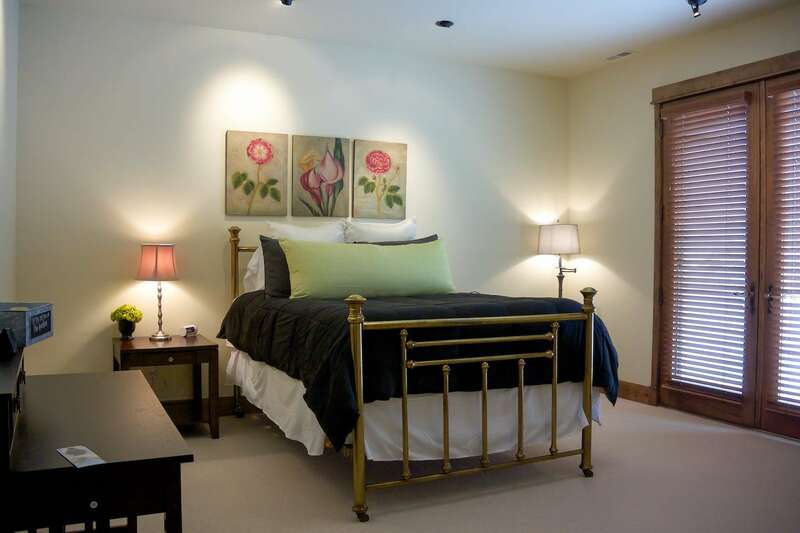 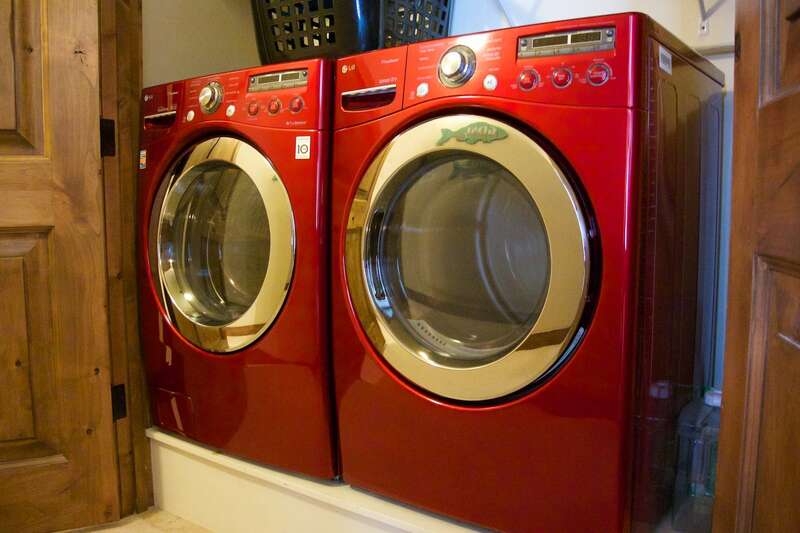 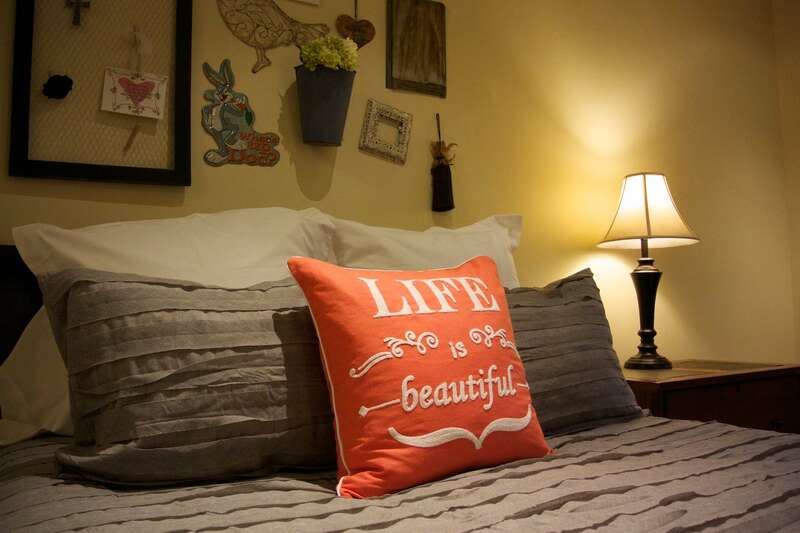 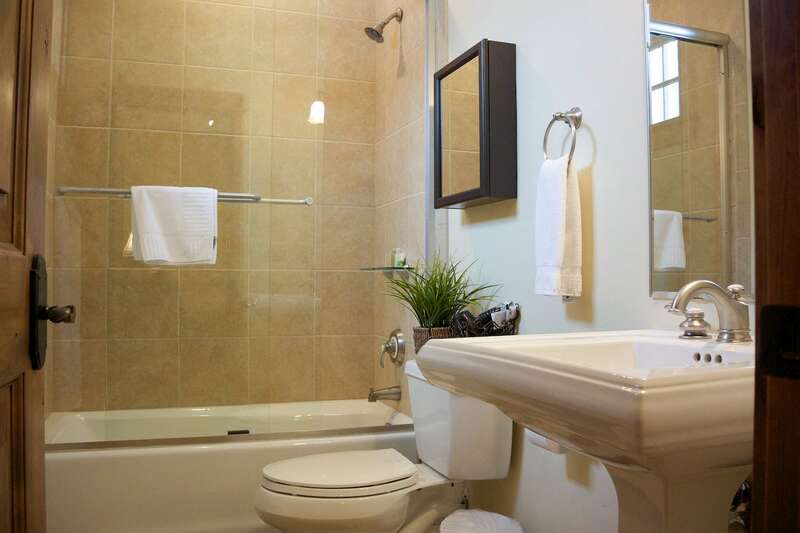 There are 4 bedrooms in total, equipped with one king and 4 queens. 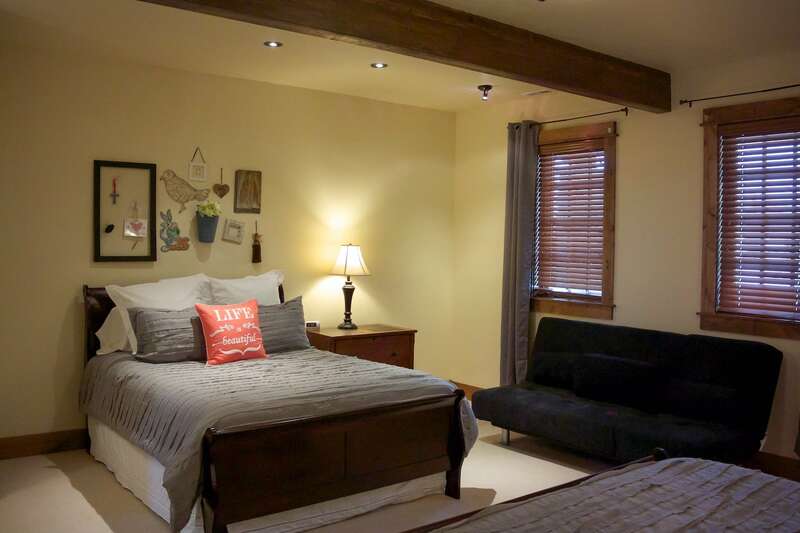 Additional sleeping area is available on the pull out couch and futon. 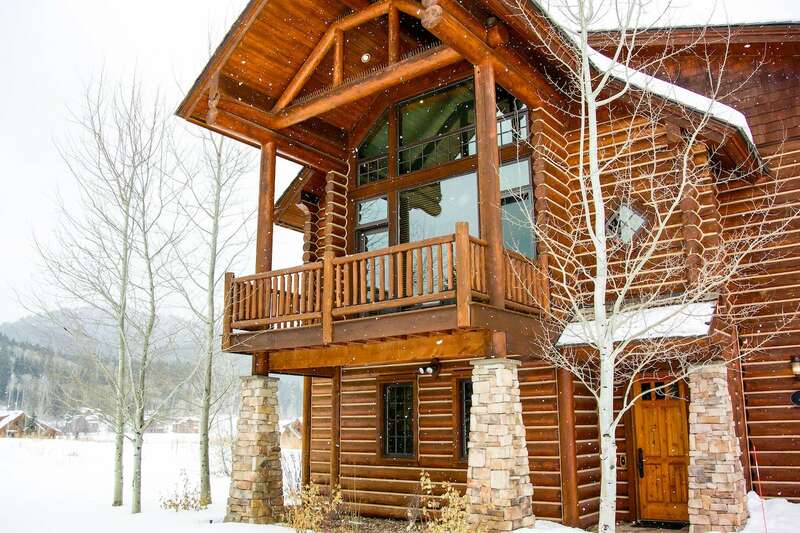 This beautiful mountain home boasts spectacular views from the spacious living room, which is also appointed with a luxurious fireplace. 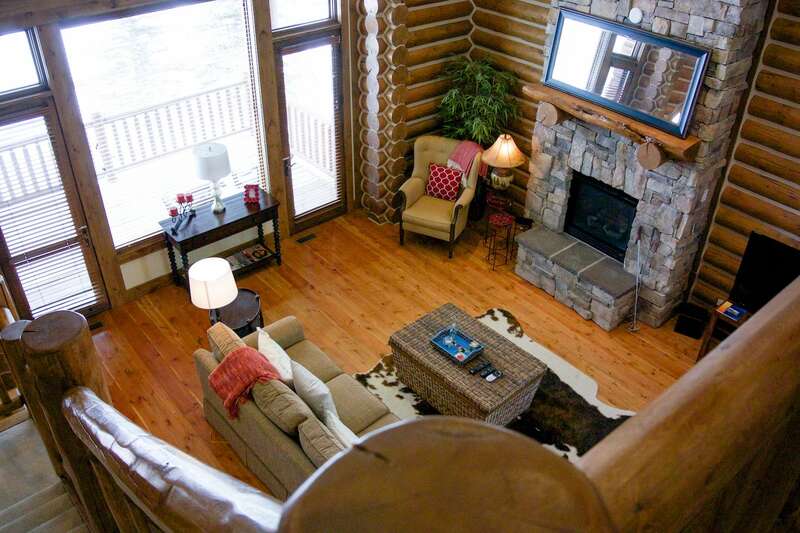 Sitting room is also accessible on the deck, which overlooks incredible mountain vistas and sprawling landscape. 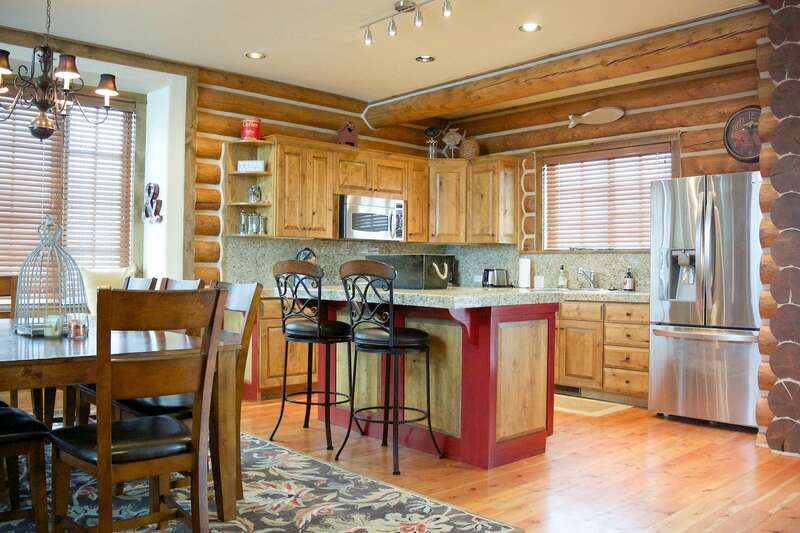 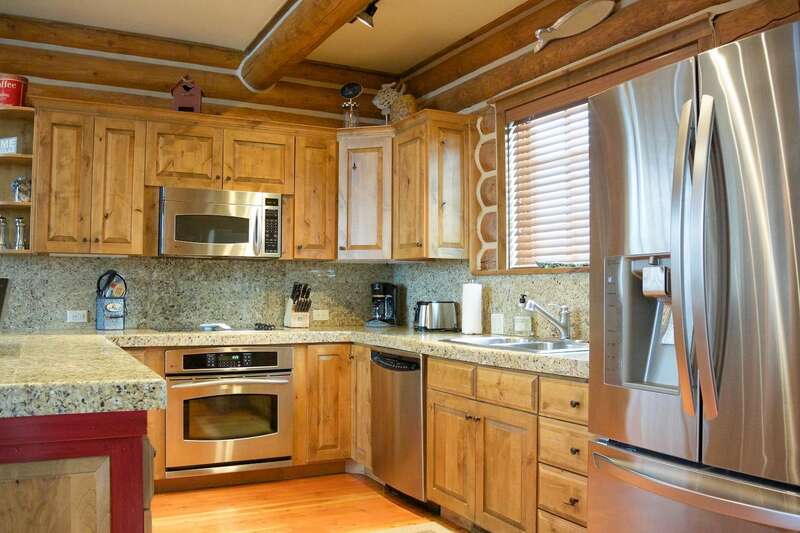 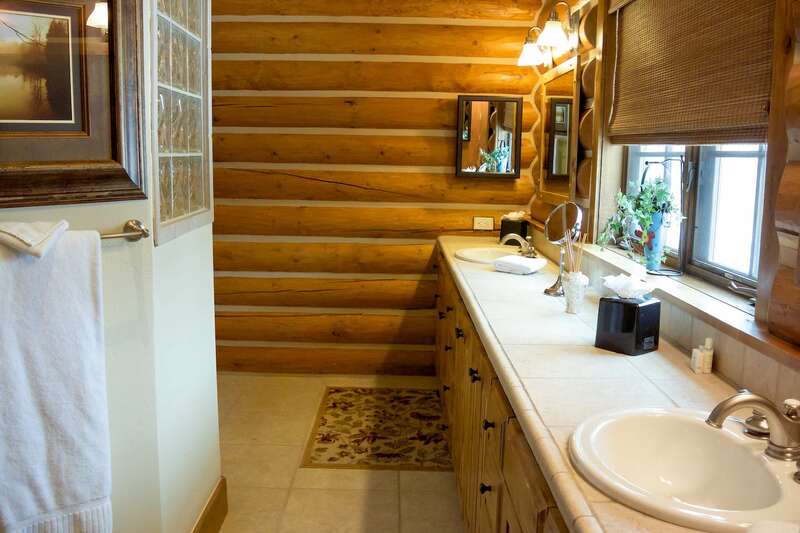 Finely appointed cabin with private deck and Teton Mountain views.